Got a question or need some “how-to” advice to make life in NYC smooth sailing? Review our expert blog featuring topics ranging from parenting advice, product reviews the NY school system, important laws, taxes, moving tips, and more. 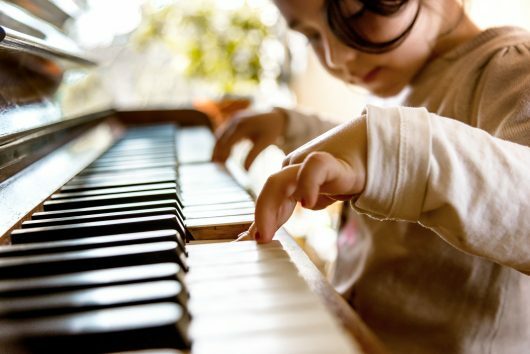 While music may be thought of as a childhood hobby, studies emphasize the importance of music education in children’s lives to help develop memory, perception, language, vocabulary, spoken skills, and reading skills. Research shows that these benefits may last well beyond childhood. Music has an impact on both hemispheres of the brain and thus makes learning easier. To get these benefits, both listening and playing or singing are important. However, all the positive effects on cognitive development of young children are usually related to singing or playing instruments. In addition to that, music education cultivates creativity and discipline. Practicing and persevering with an instrument pays off in the long run. It may also build a sense of mastery and self-confidence, especially when a child gets better on an instrument than their parent. Growing up in a musically rich environment is often advantageous for children’s language development. While children come into the world ready to decode sounds and words, music education helps enhance those natural abilities. These inborn capacities need to be reinforced and practiced which can be done at home or in a more formal music education setting. Studies have shown that musical training physically develops the part of the left side of the brain known to be involved with processing language, and can actually wire the brain’s circuits in specific ways. Although it is important to educate and inform parents of the many ways that music can be a helpful tool to enrich their children’s cognitive development, music should be taken seriously for what it is. It should not be seen merely as a vehicle for a child’s cognitive development. Music should be fun for the children and no child should be forced to play music. Music can be a wonderful activity for its own sake that brings calm, creativity, and social benefits through adulthood. German International School New York (GISNY) is a pre-K through grade 12, English/German bilingual, college preparatory school. Music education is incorporated in the curriculum from lower to upper school. Music education at GISNY is general and comprehensive. Students learn about music theory, music history, instruments, composers, many different genres and much more by listening to, examining, singing and playing music. It is an amazing array of musical styles, experiences, and possibilities. In Germany, music education is a compulsory subject in school. In regular, U.S. public high schools, the students usually choose an aspect of music such as jazz band or music history or just choir. At GISNY we take the approach of the German curriculum and provide compulsory, comprehensive music education from Pre-K through Grade 9, with the option to continue music education as an elective from Grades 10-12. We have many different cultures and languages represented at our school. While our curriculum is taught in German and English, we enjoy our international community of families from all over the world. Music education is a unifying aspect of our curriculum that I believe helps students adapt to a new language, be it English or German, more quickly. The focus of teaching music in the GISNY lower school music program is active participation. Students sing, dance and play recorders and percussion instruments following a process of exploration, imitation and improvisation. Learning to read and represent rhythmic and musical notations is a natural result of making music at every level. Early participation in both small group and ensemble performance is encouraged in each grade, and students/parents who study an instrument outside of school are invited to share their experiences in class. In grades 5 through 12 at GISNY we mainly look at music in three different ways: production, reflection and reception of music. We try to combine these three competencies in every lesson and for all possible topics and there should not be a music lesson in which the student has not sung or played an instrument himself. Obviously we also strive to foster the personal and social competencies of our students. We continually try to develop the students’ self-confidence and ability to cooperate with others. We teach quite a number of instruments throughout the students’ career at the German International School but because music education in German schools is general music, students usually do not learn to play an instrument in school in the same way this is possible in some US schools. However this does not mean that children at GISNY do not learn instruments at all. Early on our students learn to play the recorder, the marimba, and the glockenspiel. Later in grade 8 the drum kit, keyboard, guitar and the bass are added. However, most of the time, this will only be a general introduction to the instruments in which the students are exposed to the instruments for a couple of lessons and may then continue to play the instrument of their own accord at home and take a class with a private instrumental teacher. We have connections to instrumental teachers and students are encouraged to pursue music instruction outside of school. In the future I would love to institutionalize instrumental instruction on instruments such as the violin, cello, double bass, clarinet, trumpet, trombone, saxophone, flute etc. early on in their school career. We have a great number of extracurricular music activities which we are very proud of. Our music clubs include three choirs (Twinkling Stars, Troubadix and GISNY Choir), three Marimba groups (Jaguar Percussion I & 2, Majagwa) a recorder ensemble (Panther Flutes) and two jazz bands (Popcorn Band & The Real Band). There are a couple of festivals that we help our students sign up for in which they get to perform in front of a jury. This is similar to “Jugend musiziert” in Germany and is called NYSSMA. Mr. Stefan Alberti is Director of the Music Program at German International School New York.